Par 3, heavily downhill. The golf ball doesn't roll in green when the hit is lightly short. Difficulties: two bunker defending the green; red pickets behind and on the right of it. 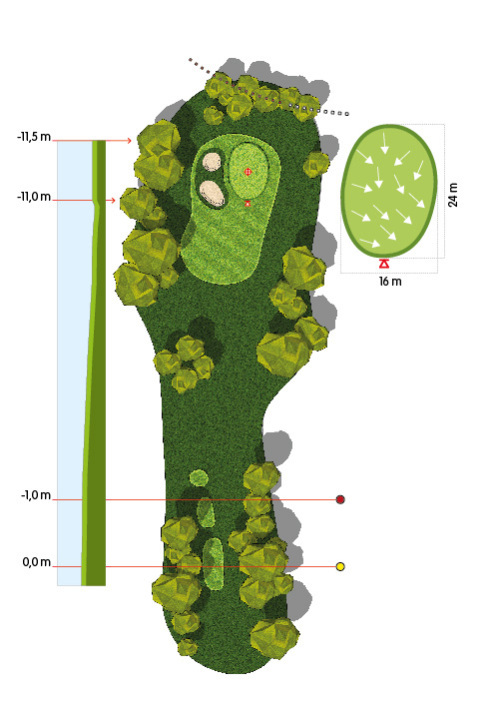 The green, almost flat, allows to get the hole with straight hits.